Mykel Nahorniak was a youngster growing up in Orton, Ontario (pop. 2,595), an hour northwest of Toronto, when his father brought home an Atari computer. The future techie, barely old enough to read, took to the little machine as if it were skates and a hockey stick. As Nahorniak got older, the computer became his link to the outside world. The teenager used his computer skills to trade music, compare video-game scores and connect with other like-minded techies through a online bulletin board service via a dial-up Internet connection. 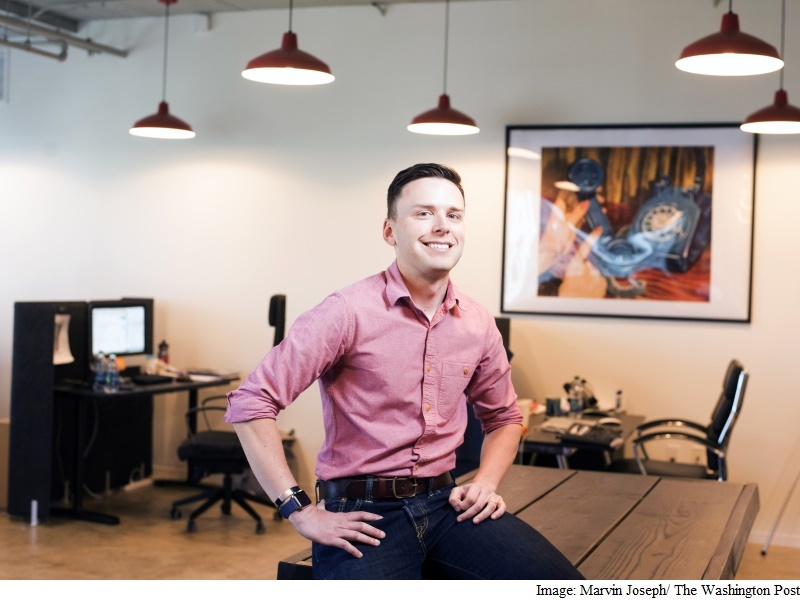 The 32-year-old entrepreneur took his love for networking and co-founded Localist, a Silver Spring, Maryland-based software-maker that now tries to help others connect with the outside world. Facebook it ain’t. Neither is it a social network. But seven-year-old Localist earns revenue in the single-digit millions, and is a profitable enterprise with 15 employees. It has a customer base of more than 200 universities, hospital systems, companies and tourism boards that pay from $7,000 to $60,000 (roughly Rs. 4.7 lakhs to Rs. 40.4 lakhs) a year to subscribe to Localist’s calendar-event software. Enoch Pratt Library in Baltimore uses it to inform parents of the time and place for the next preschool story-and-song session; you need only click a button to signal that you are attending. You can find the next 5k obstacle race that way on Travel Portland. Looking for the Health HeartHow lecture? New York-Presbyterian hospital’s Localist online calendar tells you where and when. Nahorniak said he is proud of the fact that he now helps run his company without outside ownership. An early $300,000 (roughly Rs. 2 crores) investment from a Chicago businessman was paid back in 18 months, and the company has grown on its retained earnings since, giving it the flexibility and autonomy that Nahorniak said he craves. He doesn’t rule out using venture-capital money in the future, though, to grow his company. But he has resisted the urge to take on more owners (he is one of three co-owners), coveting the independence he has by staying small. Nahorniak’s family moved to Fairfax County, Virginia, in 1997, where his father had taken a telecommunications job. The young computer geek attended South Lakes High School, where he was a subpar student. He cranked all night building programs on his computer, sleeping his way though classes during the day. By 15, he was earning cash as a freelance web developer for public-relations agencies and government contractors. College was not in the cards, so he took a series of database and computer jobs until a chance meeting at a party led him to the information technology department at the Baltimore Sun in 2005. While working at the Sun, he and a high school buddy stumbled into a restaurant in downtown Baltimore “packed with hip, happening people,” Nahorniak said. When they returned the next week, the place was empty. He and his friend hammered out the details during evenings at a Starbucks in Baltimore’s Fells Point neighborhood. How would they find content? Who is the audience? Nahorniak quit his job at the Sun in 2007 to devote more time to the project. Socializer’s ad-based revenue model also prevented it from making enough money to grow, which created another shortcoming. Their “aha moment” arrived in the summer of 2009. Nahorniak thought up the idea of selling software calendars to universities, where students, faculty and administrators regularly juggle a host of events. The idea was to sell the software and let the schools enter the calendar information. That solved the problem of centralization, allowing one source to promote, publish and manage the content. A friend arranged an introduction to Johns Hopkins University in Baltimore. The Johns Hopkins calendar at the time was underutilized and fragmented, requiring each department to manage its own events. Nahorniak’s team suggested inverting the process, allowing their software to be a vehicle for students to find cultural, intellectual and social meetups. After nailing the Johns Hopkins account, Nahorniak and his small team took the $300,000 from the Chicago investor in return for a piece of ownership. They were down to their last $300 and Nahorniak had $1,200 in rent due on his apartment. They stayed alive and soon signed Cornell University as a client. Then they bagged the Maryland Institute College of Art, followed by Notre Dame of Maryland University and McDaniel College. With breathing room, the subscription model kicked in and began a recurring revenue stream. Less than a tenth of 1 percent of Localist’s clients do not resubscribe, Nahorniak said. Localist bought out the Chicago investor’s share of the company in 2012 with profits. The company has been profitable every year since, though Nahorniak declined to give numbers. Nahorniak takes a salary and, like many employees, earns an annual bonus in high-performing years. He noted that he is not the highest-paid employee at Localist. Localist is headquartered in a spacious office across from the Discovery Channel building in Silver Spring. There is a 401k plan, a full health-care plan and flexible spending accounts to cover deductibles. “We also reimburse employees who take classes for professional development,” Nahorniak said. He said the company is now trying to take its model to other industries.